In a hurry? Pin this article for later! Our Labradors are an important part of the family. And like any other family member, we want to be able to give them a special treat from time to time. 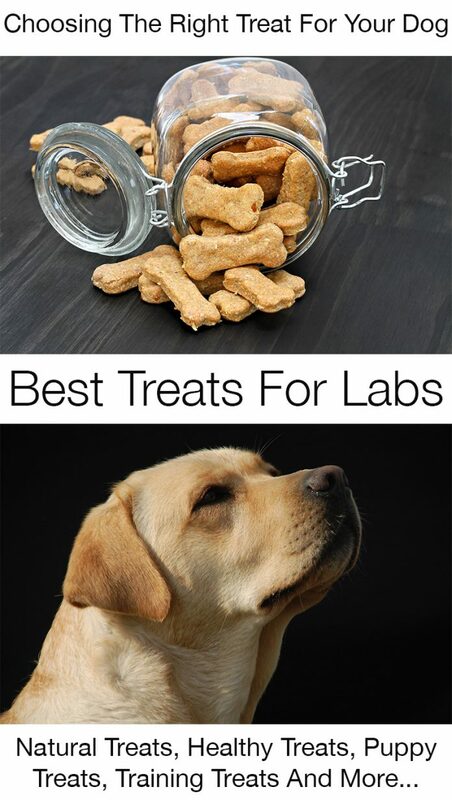 But we also often want to make use of dog treats for training our Labs. When we are buying treats for our dogs, we need to think carefully about what these treats are going to be used for. Dog treats are not just used in training to reinforce desired behaviours, they are also used on a daily basis by a lot of owners who simply want to give their pups a something nice and tasty to munch on. The best dog training treats will have different criteria to the best dog treats for keeping your dog occupied at home, or providing healthy dog snacks. They will even not necessarily be the same treats as the best puppy training treats. In this article we are going to take a look at a lot of dog treat options. 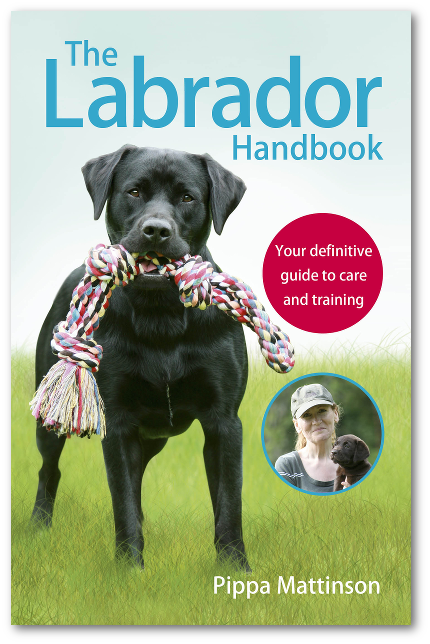 Breaking them down into categories, and helping you to decide which Labrador treats are right for your dog. 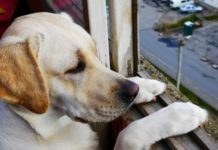 When we are looking at the best dog treats for Labs, we need to start off by thinking about when they are going to be given these treats, how regularly and in what quantity. When buying tasty dog treats that your Lab might have a couple of times a week, just because you love him, then it’s okay to go with something that is a little less healthy or more pricey. Because it’s offered in such a small quantity. However, if you are looking for treats to use when training your Labrador it will pay to be more picky. 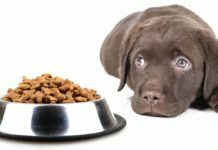 Training treats are given in far larger amounts on a regular basis, and making the wrong choice could impact upon your dog’s health if you aren’t careful. So how to you make that important choice when it comes to the best dog treats for Labs? Let’s take a look at some different factors you might choose to prioritise, starting with natural dog treats. There are two ways to feed your dog natural dog treats. One is to feed them on raw meat or vegetables as a treat. You can find out more about this in our extensive raw feeding article. 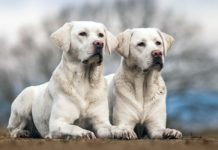 Raw food is the most ‘natural’ way to feed a dog, however, for a variety of reasons it is not always one that a Labrador owner will want to choose. Your second option for natural dog treats is to buy those which are designed and manufactured with this in mind. 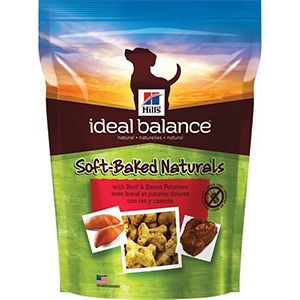 Soft-Baked Naturals from Hills Ideal Balance range boast real beef as the main ingredient in their natural dog treats. They are grain free, and contain no corn, wheat, soy or added artificial preservatives, colours or added flavourings. They are made in the USA, and come in three natural flavours – beef, chicken or duck. The treats are fairly small in size to begin with, but can be further broken down into easily manageable chunks. Making them superb training treats for short training sessions, as well as great one off health dog snacks. Just as importantly, dogs seem to love the taste too. 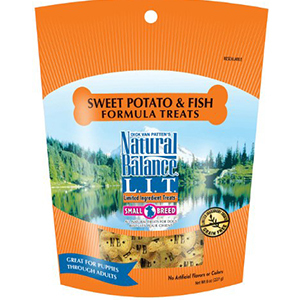 Limited Ingredient Dog Treats by Natural Balance have no artificial flavours, colours or preservatives. They are grain free, but still have a crunchy texture which makes them easy to give to your dog without getting too messy in the process. They have six flavour choices, and come in four different sizes. This means that you can save money by buying in bulk if your dog likes them. The treats are also fairly small in size, so on an individual basis won’t add much to your dog’s overall food intake for the day. 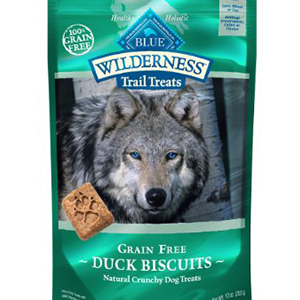 The Blue Buffalo Wilderness Dog Treats are fantastic dog natural dog treats. High in protein, these biscuits convenient for you and very enjoyable for your dog. Not to mention packed full of goodness. They come in a great range of 12 different flavour options, with the finest natural ingredients. Made in the USA, they use salmon, turkey, chicken or duck to put together delicious crunchy treats. These natural dog treats do not contain any gluten containing grains and use real meats to get that authentic taste. They also come in a range of sized packets, so you can select the one which suits you best. 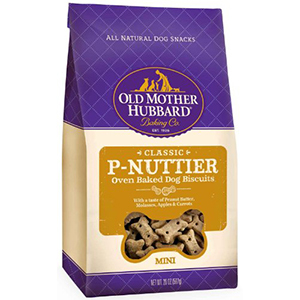 The Crunchy Classic Natural Dog Treats by Old Mother Hubbard are very popular and well received dog treats. They promise to contain only premium ingredients, including no artificial preservatives. They are made only in the USA, so if you are based in the States you know that they won’t have travelled far to reach you. These natural dog treats are available in a range of sizes, from small to large dog biscuits for different sized dogs. They also come in a variety of weighted packages, giving you a saving when you plan ahead and get more stocked up in the cupboard. Natural Dog treats can be great one off rewards, but they can also provide good everyday training treats if broken down into small enough chunks. With most natural dog treats you will find that the size makes them inappropriate to use as rewards during positive reinforcement training as your dog would rapidly reach his caloric quota for the day. Fortunately, there are some fab options for dog training treats too. At The Labrador Site we are big fans of reward based training for our wonderful dogs. 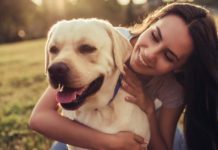 Using positive reinforcement techniques not only helps your dog to learn everything you need him to know, but it builds the trust and bond of friendship between you whilst you do it. 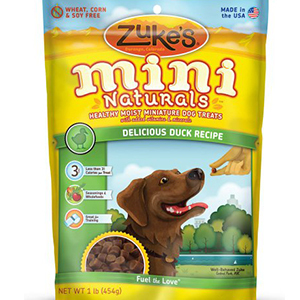 Zuke’s Mini Naturals are healthy training treats, which come ready prepared in tiny quantities. Allowing you to repeatedly reward your dog with food, without giving him an excessive amount by the end of the training session. They are very popular, with great reviews on Amazon. 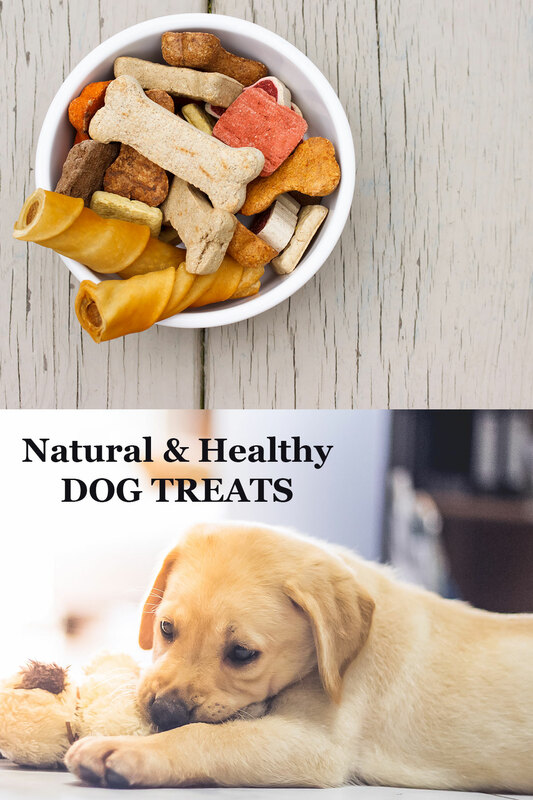 However, they are not natural dog treats in the same category as those shown above because although they do contain high quality ingredients and real meat, they also have some less appealing aspects. Including grains and artificial preservatives. It’s up to you to decide whether this is something which is important to you where your dog is concerned. What Zuke’s definitely provide is a nice convenient way of providing training treats for your dog, but by no means the only option. 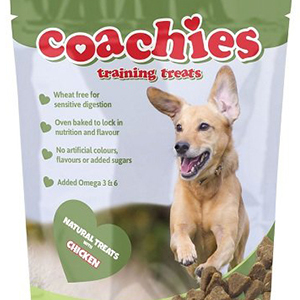 Coachie’s Training Treats are another very popular choice of pre-made dog training treats. They come in very small pieces, ideal for use in your positive reinforcement training sessions. These healthy dog training treats also have the bonus of being free from artificial preservatives, colours and flavourings. This UK based company produce these tasty treats in a range of flavours, from high quality ingredients. But it’s not just pre-made dog treats that make the best treats for training dogs. 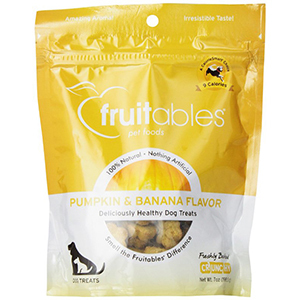 Fruitables Crunchy Dog Treats are baked dog biscuits. They come in four natural flavours, including pumpkin and banana. They are made in the USA and use local ingredients and production to make these dog treats. Although they are small in size, they have a strong aroma and taste which Labs love. 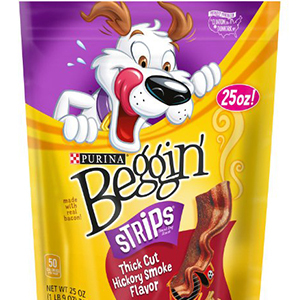 Mix them in with your dog kibble when training for bonus high value rewards. Containing amongst other things vegetables, barley and sugar they do have a high carbohydrate content so make sure that they are in a minority in your treat bag. But your dog will love them as a healthy special treat. You will hear a lot of people advise that your dog’s daily diet should only be made up of 10% treats, but if you use positive reinforcement training to teach and bond with your dog, then you wouldn’t get an awful lot done each day if you limited it to that. This is why a lot of people use a portion of their dog’s meal rations as their training treats for dogs. 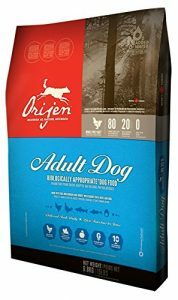 To do this, simply take your dog’s normal high quality dog kibble (we love Orijen Dog Food for our Labs). Separate out an amount of the kibble he would have at mealtimes, and instead use it to fill your treat bag. When we train with treats, we don’t just use our dogs normal food however. We also provide ‘jackpots’. These are treats which are of higher value to our dogs, to help reinforce their good behaviour by giving them instead of plain kibble on occasions. These high value dog training treats can be something yummy from your fridge, like a cold sausage or some roast chicken breast, or something convenient and from a packet that he really loves. The best dog training treats are divided into two categories. Those which your dog finds rewarding and can eat in a considerable quantity throughout daily training sessions. And those which are of a high value to him, but can only be given on the odd occasion as they are not an integral part of his diet. Work with your dog to decide which treats you are going to use as occasional high value rewards, and which will make up the bulk of his low value rewarding training treats. When your Labrador is still a young puppy, making sure that his diet is made up of all the right nutrients is very important. Over feeding a puppy could potentially result in excessive growth, and is thought to be linked in some cases to the emergence of hip dysplasia. Some brands like Coachie’s note that their treats are appropriate puppy treats for training, but I would still predominantly make use of a part of your pup’s daily ration at this vulnerable age as the best dog treats for training puppies. There are a wide range of dog treats available, but some are vastly more popular than others. This will either be because the owners’ dogs loved them, or because they are well priced, or even because they are convenient. We have had a look at a few of the highest rated dog treats on the market, to help you understand what makes them so popular. 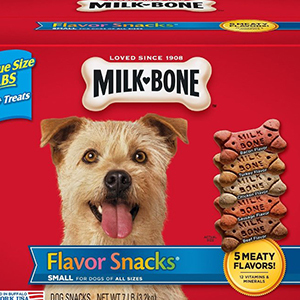 Milk Bone’s Flavour Snacks are very popular dog treats. They are not ideal as training treats as they are large and contain a high proportion of carbohydrates, but they can make great occasional special treats. Dog biscuits like Milk Bone’s should only be given occasionally, but they do have some appealing aspects. One is the price, they are very cheap. Another is the taste – because they are very palatable to dogs. 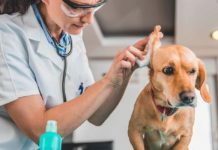 Best given no more than once a day as a special treat, and take care if your dog has allergies as the main ingredient of these popular dog treats is wheat. 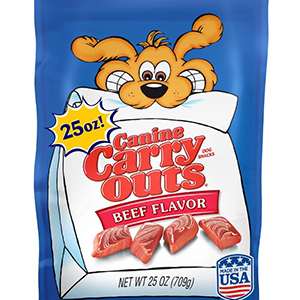 Canine Carry Outs Dog Treats are very popular dog treats. Size and price wise they work well. They break into small pieces, and are very ow in cost. They aren’t too messy and have a strong smell which your dog will love. They do however contain several preservatives, wheat, flour and various other ingredients that your dog doesn’t need – including even sugar. Absolutely fine as an occasional treat, but I would recommend that despite the convenience they don’t make up a high proportion of your regular treats for training. Purina’s Beginn’ Dog Treats are very popular with dogs of all shapes and sizes. They have a strong smell and are made with real bacon and bacon fat, giving them a taste which your Lab will find very appealing. These treats will go down very well with your dog, but they do contain several ingredients that are not necessarily ideal parts of a canine diet. Such as wheat, corn gluten, artificial flavourings and colourings. So a very much appreciated occasional treat for your Labrador but not something to give to him too often. Even the healthiest humans let themselves have something a little bit naughty now and again, special treats are great occasionally. But what about daily regular treats for training? Healthy dog treats is a an area full of shades of grey. Even amongst experts opinions are divided on what is the most healthy diet for our modern dogs. What we can do is look at the ingredients and choose those which seem to come from appropriate sources – using high quality meat and limited fillers. 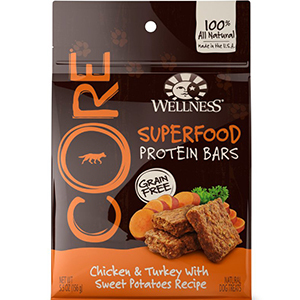 You would be forgiven for mistaking the Core Superfood Protein Bars by Wellness for a human snack. The packaging makes them look very appealing, and their branding is very focussed on the fact that they are healthy dog treats. They contain high quality meats, with no by-products. All natural ingredients – no wheat, corn, soy, or artificial colours, flavours and preservatives. These healthy snacks for dogs are definitely designed as one-off treats, not to be used in training. The size is too large and they can’t be conveniently broken down for most people’s training treat needs. However, they are fantastic for an early afternoon snack for your Labrador, or to give him a big bonus reward once a day. Just make sure to account for it in your daily food rations. 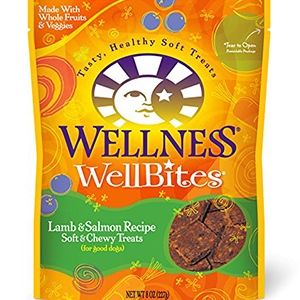 Wellness Natural Pet Foods have a line of soft healthy dog treats, coming in five different flavours Labradors love. They are made in the USA from quality fresh ingredients, and don’t contain any corn, soy, artificial colours or flavours. These treats can be used as high value bonuses in training, interspersed with your dog’s own kibble as the more frequent lower value rewards. Because they are soft and fairly small, they also make great occasional treats for bouncy Labrador puppies. The Jerky Strips bag by Hill’s Science Diet contains some great health dog treats for Labradors. 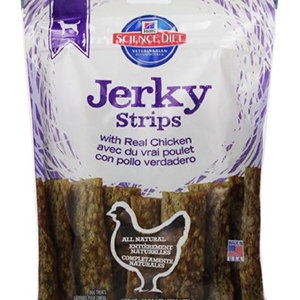 Containing strips of jerky, these healthy dog snacks are made in the USA with real chicken as the primary ingredient. You can also break down the jerky strips into smaller pieces, great for putting into your training treats bag. It contains no corn, artificial colours or flavours, and is designed to build and maintain real muscle in your dog. Not just healthy, but Labradors love them too. 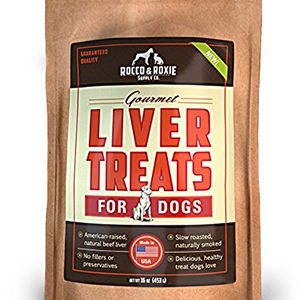 The Gourmet Liver Treats by Rocco & Roxie are great healthy treats for dogs. They are made in the USA, using American beef liver, smoked for 15 hours until dry, crunchy and delicious. These treats do not contain any artificial flavourings, or fillers such as corn, soy or gluten. They also have handy score lines, making them easy to break down into bite sized pieces for your dog to eat. The healthiest dog treats are those which are made from a part of your dog’s daily food ratio, containing ingredients which are good for him and make up important parts of his diet. 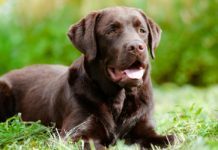 What Are The Best Dog Treats For Labs? The best dog treats for Labs have to fulfil a few criteria. If you are using them as training treats they need to be fairly small in size and convenient to handle. This means not too crumbly, messy or smelly. Dog treats don’t need to be expensive, but bear in mind that the higher quality the ingredients used are the higher the cost is likely to be. They also need to contain ingredients which are good for your dog and form a part of his healthy balanced diet. Finally, your dog has to enjoy the taste of them too! What’s your dog’s favourite treat? Why not let us know in the comments section below? Don’t forget, you can Pin this article to read later! We give are Lab carrots ,watermelon, green beans and he LOVES THEM. Does anyone use Dinovite as a food additive with the lickochops? My dog loves it and her shedding was incontrollable before using it. Her shedding is now nil. I order a bone broth tea from a company called Buster’s Brew. My lab loves it and apparently it’s also very healthy. You can keep it at room temperature in a bottle and give it to your dog at any time. Outstanding information! I really appreciate your Labrador-specific entries. I use dried spratts as a treat, I buy them from Antiforte. Our Lab loves them and they are not fattening. They come in a plastic tub. My dog loves chicken giblets. I boil them for 10 or 15 minutes, let them cool and cut them up into pea size pieces with my kitchen shears. I then put them in freezer on cookie sheet and when frozen put them in freezer bag. At my Krogers they are $1.50 for 20 ounces. Frozen they are good for a walk. Another favorite is Chicken Soup for the Soul heart shaped treats, can be broken in small pieces, even when walking. Lastly mini or macro Milkbones. My dogs adore veggies of all kinds. Carrots, cucumber, melons and cooked collard greens . I love to give them raw bones but worry if they would choke. 2 golden 6,7 yrs old. Plus another pitbull mix who follows the labs. Mine vet likes my choices. My Chocolate Lab absolutely loves Greenies, they are grain free and great for his teeth, he’s 6, and his vet says he has the teeth of a 2yr old. I buy the smaller ones so that he can have 2! They were a favourite of our old Black Lab too. My 6 month old Dennis loves Wainwrights puppy turkey and rice bones, they are grain free and made with only turkey rice and veg and a very good price. Of course he loves homemade treats too like lambs liver baked for a couple of hours at 140c then cut up into training sized treats with scissors. It will keep in the fridge for a couple of weeks in an airtight container. Another favourite that he drools over is salmon skin baked in the oven to make it crispy. If the family are having salmon I skin it cut the skin into strips, scissors make quick work of it, then roll it up and bake it in the oven on 140c for about an hour and a half. I have even asked the fishmonger at the supermarket for some salmon skin!! My favorite treat for them are homemade so I can control what is in them. Oat bran flour, flax seed, pure pumpkin or cooked carrots are staples in the ones I make. For training? Nothing beats baby carrots. Our dogs love veggies and it keeps their weight in tow. We try as much as possible to give our 9-year-old Chocolate Lab treats that are free of, or low in, grains. Merrick and Nutrience both make nice cookie-like treats that are grain-free, and Natural Balance probably make the best dental treats in terms of quality ingredients (though I admit those are not her faves in terms of taste). We haven’t given her Milk Bones, Beggin’ Strips or other grocery-store stuff like that for years, because we now know what goes in them. How about Millie’s Wolfheart?! I’m amazed that you’ve not featured them anywhere in your article especially as they are a UK company who definitely have good nutrition at the heart of their company, whether that be in their training treats, dry kibble, wet food or other dog friendly yummy treats. My dogs are both fed on Millies and adore their treats especially the fish bites and venison crunchies. They are both thriving on Millie’s especially my 12 year old labrador who has so much more energy and is in miles better condition since we changed him on to it.